Four years after its crackdown on the drone operators, the government had recently formulated a policy - Drone Regulations 1.0 - that allows drone operators to fly legally after taking clearance through a mobile app. Four years after its crackdown on the drone operators, the government had recently formulated a policy - Drone Regulations 1.0 - that allow drone operators to fly legally after taking clearance through a mobile app. But first, operators are required to register their drones, pilots and themselves in order to become eligible for flying. There are an estimated 40,000 drones operating in the country on the commercial side (for mining, agriculture, forestry, weddings, road projects, etc); the number of drones operated by the armed forces is unknown. From December 1, the policy comes into force, which is expected to change the drone landscape. According to Jayant Sinha, minister of state for civil aviation, the ministry has already developed standards for Digital Sky Platform under which the entire ecosystem will operate. Under drone regulations 1.0, the Digital Sky Platform will only enable to register pilots, devices, service providers, and NPNT (no permission, no take-off), a first-of-its-kind system that disable "permitted" drones from flying unless there's an approval from DGCA. "It doesn't track the digital flight plan. We are putting in place the infrastructure, and the software platform for drone regulations 2.0 that will ensure that operators stay within the digital air corridor," says Sinha. Under the current regulations, the airspace has been partitioned into Red Zone (flying not permitted), Yellow Zone (controlled airspace), and Green Zone (automatic permission). While the drone regulations 1.0 allow visual line-of-sight daytime-only and a maximum of 400 feet altitude operations, the game-changing drone regulations 2.0 are currently been worked upon. 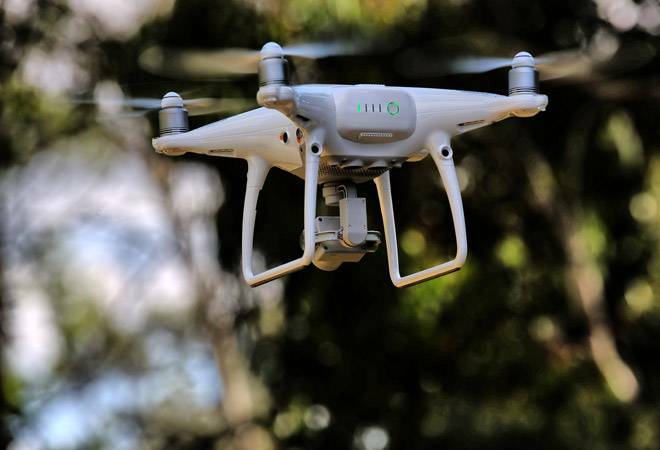 The minister says that the task force for the drone regulations 2.0 has been working for the past six months, and it includes people from industry, academia, and air force. "There are three sub-task forces, and they have already submitted the reports. We are now in a position to put out draft 2.0 regulations by mid-January," says Sinha. With drone regulations 2.0, the MoCA (ministry of civil aviation), is trying to cross three thresholds -- BVLOS (beyond visual line of sight), delivery of payloads and automate the air traffic management to the extent possible. The current policy allows one drone pilot for each drone whereas in the next set of regulations, one pilot can operate any number of drones. Also, a drone needs to be certified in drone regulations 2.0 to become eligible for flying. "Under drone regulations 2.0, the drones are going to be tracked by computers through artificial intelligence. We are working on all of that right now," says Sinha adding that delivery of products by e-commerce players like Amazon and flying taxis like Uber Elevate are likely to be part of drone regulations 3.0. The drone regulations 1.0, even as they are basic and highly restrictive, took nearly four years to come into reality. MoCA convened a series of meetings with security agencies, ministry of home affairs, air force, stakeholders, as well as a number of discussions with regulators around the world to come out with the current policy. When Sinha joined the MoCA in 2016, the policy was stuck, and the drone ecosystem was largely operating in the shadows. It took some convincing to bring everyone on the same page.